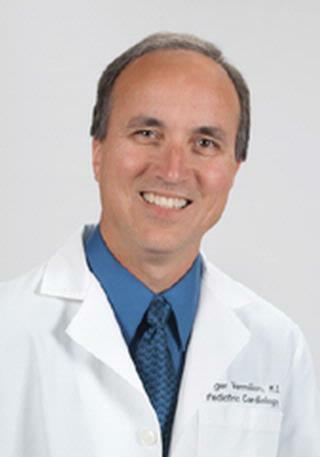 Dr. Vermilion's research interests include clinical outcomes in surgery for congenital heart disease and echocardiographic methods of assessing cardiac hemodynamics and function. Cheng A, Thomas J, Vermilion RP, Alfieris GM, Hicks GL. "Right ventricular outflow tract obstruction after sinus of valsalva aneurysm repair." Journal of cardiac surgery.. 2014 May 0; 29(3):317-9. Epub 2013 Oct 22. Jo, CO.; Lande, MB. ; Meagher, CC. ; Wang, H.; Vermilion, RP. "A Simple Method of Measuring Thoracic Aortic Pulse Wave Velocity in Children: Methods and Normal Values". American Society of Echocardiography. 2010; 23(7): 735-740.